Movies reinforce ideas of family, culture, and societal expectations to kids, but especially they reinforce expectations of love and relationships. If I ever had doubts about this, they vanished last night as I watched “Shrek Forever After”. An innocent kids movie, as I watched it I realized how much these kids of movies subconsciously influence kids in their expectations of how relationships work. 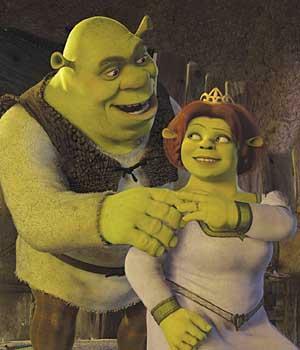 In this movie, Shrek is trying to win back his wife Fiona after a confusing bout with Rumpelstiltskin. Due to a magic spell, she doesn’t know who Shrek is and he has to convince her that he knows her and in a previous time they were in love. “Fiona I know everything about you. I know that when you see a shooting star you close your eyes and make a wish. I know that you don’t like the covers over your feet when you sleep. Notice that every single statement is a very personal and focused on her as an individual. He was right. In America our love stories are based on affection between two people. A common understanding. The here and now. Often times our view is, if you find someone who can understand you completely and that you get along with, those are real signs of a long lasting relationship. But is that a faulty expectation that comes out of our individualistic culture? These simple quote from a movie are small pointers to individualistic values communicating through film when it comes to love and relationships. I know that your mother made you moolee parantha every morning for breakfast. I know that you got your family wanted you to go to IIT, but you did not get admission. Most likely, every statement would be family related! I’m not saying that Indian culture is superior, just pointing out the differences in priorities and examining the differences in traditionally communal and individualistic cultures. What do movies communicate about relationships? After growing up in the US, I have been desensitized to see cartoon characters kissing. After several years of being immersed in Indian culture, I was very weirded out to see that they showed cartoon ogres kissing. Kissing was a central part of the story…and therefore a pointer to True Love. I never uncoded it as a kid, but now as an adult I can clearly see the message. What kind of things are we teaching our kids with these movies? It is intended as an innocent fairy tale, but we need to be careful to make sure our kids understand that real love does not have to be wrapped up or expressed in physical affection. And maybe we can learn to be careful what kind of values are being reinforced with film love stories like this. Is the here and now and personal preference all that matters in choosing a life partner?